*Free, but bring money for beer and food, or purchase advance tickets. Oaktoberfest celebrates the history, the flavors, and the people of the Bay Area with craft beer and food, entertainment, arts, and ecology. Oakland’s Dimond District continues a tradition as an entertainment destination, begun in the early 1900s when Beer Gardens and German vacation resorts lined the boulevard. FREE entry, but drink tickets are available for advance purchase. Oaktoberfest turns 11. Celebrating the history, the flavors, and the people of the Bay Area. The festival is a free public event, please support the effort by purchasing food and beverages from Oaktoberfest vendors and Dimond District businesses. 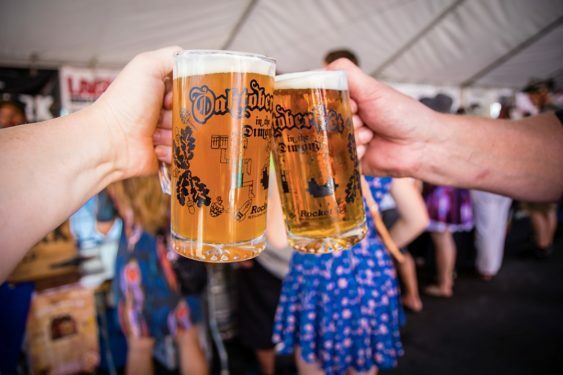 Highlighting this years festival will be a traditional Biergarten, Eco Fair, Kid’s Area with Root Biergarten, German style homebrew competition featured in the homebrewers’ alley, and vendors from around the Bay.